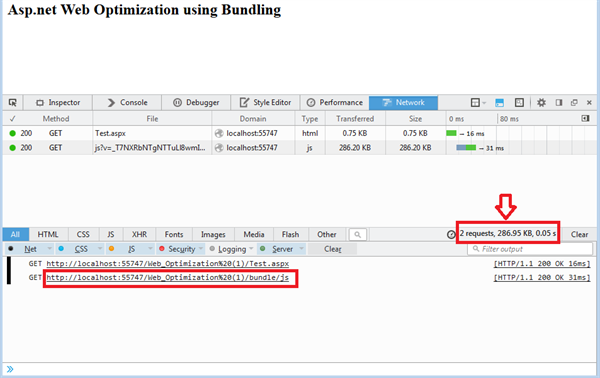 After this you can see that System.Web.Optimization.dll reference is added to your solution. First you need to register bundles in Global.asax. 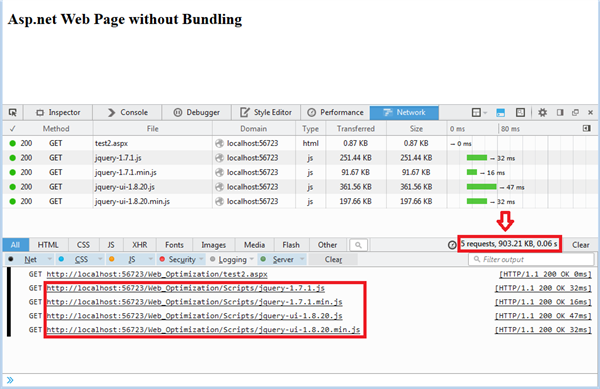 Now you have to give reference of your bundle to your aspx page to access all those .js file functions. Here you can easily see the difference between number of requests both the web pages have sent to server. 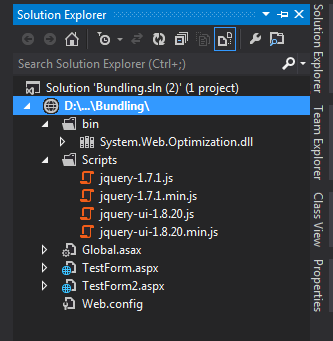 Single request for all the .js files as bundle/js. 4 seperate requests for 4 .js files. Hope I had explained all the details regarding bundling in a proper way. Please try it for improving your website performace and you will see the difference. You can find attached source code for your reference. Please post if any suggestions or feedback.